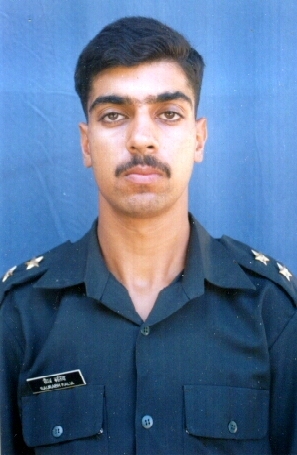 Justice Upheld became aware of Captain Saurab Kalia and the plight of his fellow Officers in November 2010. Dr Narinder Kalia the father of Captain Saurabh, himself a retired Officer in the Indian Army relayed the shocking background to his son’s death and the deaths of his five fellow officers who were all captured alive by the Pakistani Security Forces. Dr Narinder Kalia spent the last 13years trying to get some answers and justice for his son and five of his fellow officers who were brutally and barbarically tortured to death by the Pakistani Security Forces following their capture and detention. The successive governments of India have failed to address the serious issues in these cases and failed to ensure justice for these officers who made the ultimate sacrifice for their country. These officers were captured on the 15th of May 1999 following a brief encounter on the Indian side of the Line of Control, near Bajrang Post. They were in the custody of the Pakistani authorities from the 15th of May 2006 to the 9th of June 1999 – that is for a period of 25 days in total. The Pakistani authorities failed to notify the Indian authorities that they had captured the Indian Officers. The Pakistani Army handed the badly mutilated bodies of all six officers to the Indian Army on the 6th of June 1999. The post mortem reports conducted by the Indian authorities disclose that the bodies of these officers suffered cigarette burns; the eyes of each the officers had been removed; their teeth and bones were broken. The post mortems further reveal that the officers were tortured alive before they were each shot dead. These officers were captured alive by the Pakistani authorities and they respective deaths occurred whilst they unlawfully detained by the Pakistani authorities. The action of the Pakistani authorities actions define war crimes and in the interest of justice, the international community must ensure that the perpetrators are made to account. The West would never have allowed such actions to go unpunished. Sixty years plus after the Second World War, the Europeans are still searching, investigating, locating and prosecuting war criminals successfully in the International Criminal Court and the International Court of Justice and yet India fails to address the atrocities and criminal actions committed by the Pakistani authorities between 1999 and 2006 against their officers. The successive Governments of India have failed to confront the Pakistani authorities for an explanation of the deaths of these officers. These Officers were Prisoners of War and they should have been treated in accordance with the terms of the Geneva Convention 1949 and afforded the protection under this convention (www.icrc.org). However, whilst the Pakistani government signed up to the Protocol to the Geneva Convention on the 27th of December 1977, it appears that the treaty has never been ratified by the successive Pakistani governments which consequently means in effect that it is not binding on Pakistan. This allows the Pakistani authorities to act with impunity. Justice Upheld advised Dr Kalia to issue a petition in the Supreme Court of India seeking a direction that the court direction Captain Saurabh Kalia’s case is referred to the International Court of Justice to be investigated and prosecuted. Despite the barbaric and inhumane treatment of these Indian Security Officers and Pakistan’s abysmal records in relation to human rights and On the 12th November 2012, the UN granted Pakistan a seat on the UN’s Council for Human Rights.